During the winter and summer months, you constantly battle your need to stay comfortable and the need to keep your energy costs down. 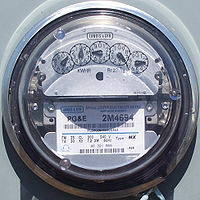 You do not want to be too hot or too cold, but each year you find your utility bills growing. Some of these costs can be controlled and reduced by making your home more energy efficient. The more energy efficient your home means the less time your air conditioning and furnace spend heating and cooling your home. One key thing to having an energy efficient home is keeping your climate-controlled air in and the less comfortable temperatures outside of your home. Here are some tips to keeping your utility bills under control. If your home is older, you might find that the insulation originally installed in your home is not sufficient to keep your home energy efficient. In fact, some of your original insulation may have disintegrated. Even in a newer home, there might be areas that can benefit from additional insulation. Many companies that install insulation will be more than willing to come to your home and evaluate the current condition to determine if you will benefit from installing additional insulation. Each year, there are improvements in the energy efficient of windows. Windows are a source of loss of climate-controlled air. Also, the outside temperatures affect the temperature of the panes themselves and create hot or cold spots inside your home. You can purchase new windows that have a special coating that keep UV rays out of your home, making it easier to cool during the summer months. Another possible solution for your windows is windows that are double paned. These windows create a barrier between your home and the outside temperatures. They will feel closer to the inside temperature in your home when you touch them. If your home has a heating or cooling unit that is reaching the decade mark, you might be able to lower your utility bills by replacing it with a new energy efficient model. This is especially true if you are finding yourself paying for frequent repairs on the unit. In many cases, a new heating or cooling unit can have a large impact on your energy bills. Your local HVAC contractor can help your explore this possibility while offering good advice, a range of products and a good idea of expected savings. These are just a few tips to help reduce your utility bills. To learn more tips or to get a free quote on insulation, contact USI online. USI believes that excellence in every step of the process ensures timely completion and quality service, time after time.